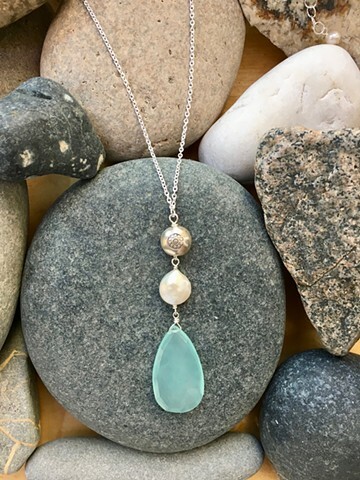 Lovely faceted chalcedony teardrop charm with fresh water pearl and fine silver on sterling silver chain. Sterling lobster claw closure with 2" sterling extender chain. Approx. 28-30""